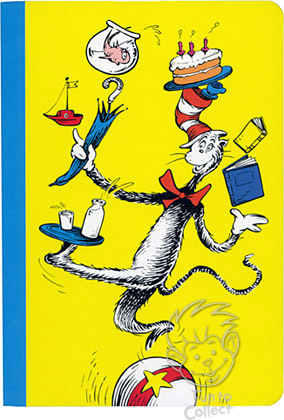 Mostly I feel like the Cat in the Hat, balancing a variety of people, places and things. Lately, I've been thrown a curve or two - my mother's dementia worsening due to a drug issue, Andy's traveling schedule ramping up. We all know what happens in the next picture of the Cat, he adds more things and everything crashes down into a huge mess. It's taken me many years to figure it out, but finally I've figured out just how many curve balls I can hit & keep going. Isobel woke up last night with a stomach bug, it kept us up until 2. I woke up this morning & started my period. I decided to step off of the balancing ball for the day. I canceled my mother's doctor's appointment, canceled play dates, meetings, everything. Instead, I'm caring for the kiddo, and doing little projects around the house. Stressing 0%. I put everything down instead of letting it crash around me. It's good. good for you-you and Izzy both need some time with nothing to do!! Great Idea! I hope the next time I think everything is going to crash I can remember you and just put it all down myself. That is the best advice I have heard in a long, long time. Good move. I hope things ease up for you soon overall. I hope the girl feels better! I've been having a similar experience lately, to be sure. So many deadlines, yet such miserably health post-surgery... I'm just worn down. Have taken some purposeful down time and need more... we should never feel bad about needing it or taking it, although when you've got so many balls in the air it's tough to do. Take care, xoxox! Yaay! Good for you. It's so easy to get overloaded, isn't it?